The 2018 WCWA National Championships are merely days away. On February 9th, 2018, 329 athletes from 32 different schools will take over Oklahoma City to compete for 10 highly coveted individual titles and one team title. This year’s tournament will mark the 15th anniversary since the first tournament was held in 2004; a remarkable feat when you consider how far women’s wrestling has come. The 2018 edition is sure to not disappoint as we could see one of the closest team races in recent years with several weight classes up for grabs for whoever is able to rise to the challenge. 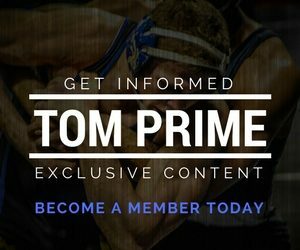 Be sure to also check out our weight-by-weight breakdown for an in-depth look at each weight class. 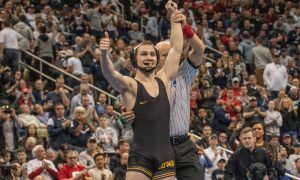 As we prepare for what should be an exciting weekend of wrestling, here are five things to keep an eye on. 1) Will the record books be rewritten or will a new team champion be crowned? King University has owned this tournament the last four years. Head coach Jason Moorman has built the Tornado program into a powerhouse and has captured the last four consecutive WCWA team titles, tied for most titles by an individual program, most titles by a coach, and most consecutive titles by a program. Should the King University squad find a way to come out on top of this year’s tournament, Moorman and the Tornado will make history and set records with five team titles, five consecutive team titles, and most titles won by a head coach. 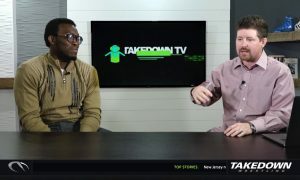 Unfortunately, this will not be an easy task and would require a lot of upsets and a monumental collapse of the three teams ahead of King in the last rankings prior to the tournament. Campbellsville, Simon Fraser, and McKendree currently the numbers one, two, and three ranked teams respectively have all distanced themselves from the rest of the field quite a bit at least on paper. Top-ranked Campbellsville has a lineup loaded with high-end talent and depth and should expect to see about 12 seeded wrestlers including six with a top-three seed. 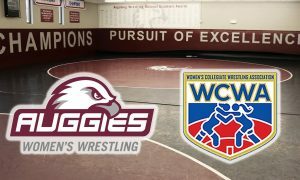 They’ve had an amazing season and appear to be the favorites to capture their first WCWA national championship. Second-ranked Simon Fraser doesn’t have quite the depth with possibly seven seeded wrestlers. However, they could have as many as four wrestlers seeded first in their respective weight classes. 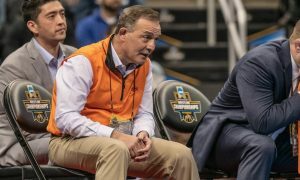 Third-ranked McKendree, like Campbellsville, has a lot of depth and could expect to see as many as 15 seeded wrestlers but with only three wrestlers seeded in the top three. What this means is that the team race will be extremely competitive and there is a good chance that a school will earn their first-ever team title. 2) Will the WCWA crown its fourth four-time national champion? Campbellsville’s Kayla Miracle looks to become just the fourth four-time national champion in the history of the WCWA. She has previously captured titles in 2015, 2016, and 2017. This feat has only been accomplished three times previously by Victoria Anthony of Simon Fraser (2010, 2011, 2013, 2014), Helen Maroulis of Simon Fraser/Missouri Baptist College (2010, 2011, 2013, 2014) and Emily Webster of Oklahoma City University (2012, 2013, 2014, 2015). Miracle has to be considered a heavy favorite to win the 136-pound weight class and join this exclusive club. She has been nothing short of spectacular this season, wrestling anywhere from 136-155 depending on team needs and never really being challenged. 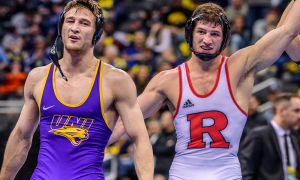 3) Three wrestlers are looking to end their career as three-time national champions. 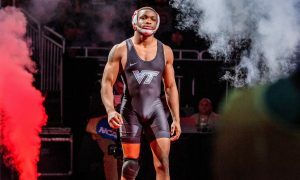 In addition to Miracle looking to become a four-time national champion, there are three wrestlers looking to end their highly accomplished careers as three-time national champions. 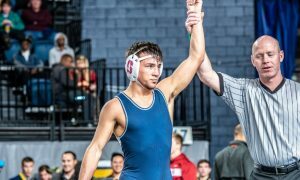 Marina Doi of King University, Cody Pfau of Emmanuel College, and Mallory Velte of Simon Fraser University are all in position to become four-time All-Americans and three-time national champions. Doi has ruled the 101-pound weight class the last few years. A runner-up as a freshman to Webster, she proceeded to claim titles the last two years and is a strong favorite to do so again. Oddly enough, her biggest competition will come from teammate and twin sister Regina Doi, who she defeated in the finals last year. After finishing fourth as a freshman in 2014 at 116-pounds, Pfau took a redshirt before winning the 109-pound title in both 2015 and 2016 for Oklahoma City University. 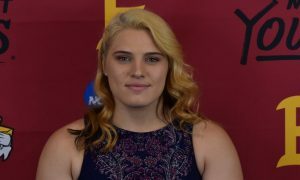 She transferred this off-season to Emmanuel College and was finally able to take the mat midway through the season. Since then she has been nearly untouchable and is considered a heavy favorite to claim the 109-pound title this year. Like Pfau, Velte also finished fourth as a freshman in 2014 before taking a redshirt. She then captured national titles the last two years at 143-pounds. The Senior World Team member is also a heavy favorite to pull off the three-peat at this year’s tournament, again at 143-pounds. 4) Will McKendree University’s Megan Black end her career on top? Megan Black, the top-ranked wrestler at 130-pounds, is a three-time All-American and has finished as the WCWA runner-up the last two years. In 2016, she was defeated by Becka Leathers of Oklahoma City University in the finals 10-2. Last year, she again made the finals only to lose to Cheyenne Youngblood of Missouri Baptist University by a similar score. 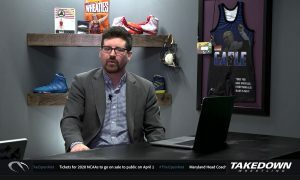 This year she has held the top spot in the rankings at 130-pounds all season while performing spectacularly, trying to prevent becoming the WCWA’s version of Gerry Abas. 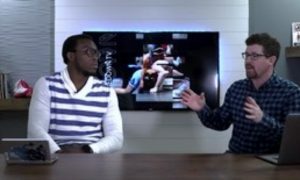 For those not in the know, Abas made three consecutive finals of the NCAA National Championships for Fresno State but each time finished as runner-up. Black is in a good position to claim that elusive title this year but it will not be easy. It’s very possible that she could meet up with Campbellsville’s Grace Bullen in the finals. 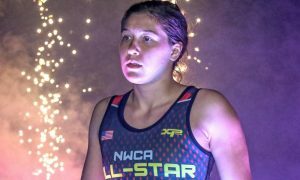 Bullen, who has been ranked as high as fourth in the world in the women’s Senior division, made her WCWA debut at the NWCA Multi-Divisional National Duals and has been very impressive since then. We will soon find out if Bullen will present an insurmountable challenge or if Black will refuse to be denied. 5) Can a team match the WCWA record of six individual champions? Three teams have accomplished the feat of crowning six national champions in a single season, Missouri Valley in 2005, Oklahoma City in 2012, and Simon Fraser in 2013. It’s not likely that we will see this record tied or broken this year, but there is an outside chance that a team who gets hot and has some things fall their way could do it. Campbellsville would appear to be the most likely team with as many as six wrestlers seeded in the top-three. Even so, it would still take a lot to go right and there would almost certainly be some massive upsets in the process but upsets happen and that’s why they still wrestle the matches. Simon Fraser could have as many as four top-seeded wrestlers but I’m not sure they have much else after that. I would say it’s a safe bet that this is one record that is not matched or topped for a long time, at least not this year.